The ancient Hindu festival of Diwali, also known as Deepavali or the “Festival of Lights”, began on Tuesday and has sparked a gold buying rebound in India. Dhanteras, the first day of the five-day festival, is a major shopping day for gold and silver items. 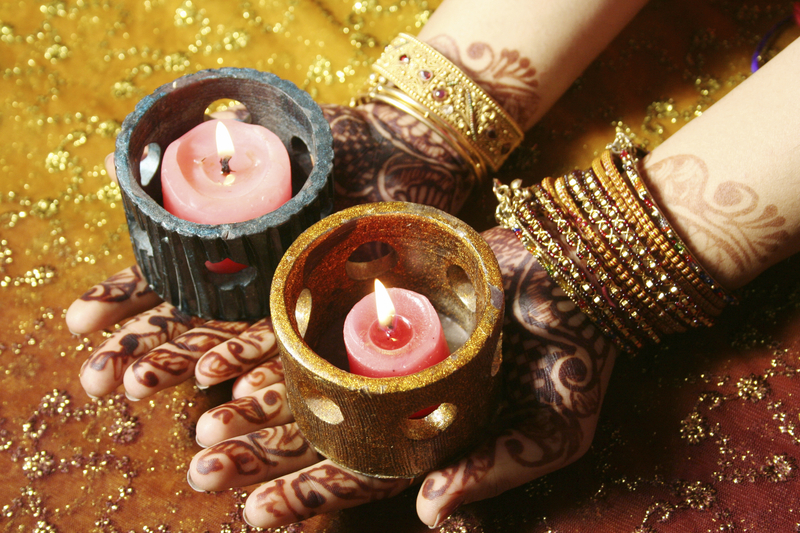 In terms of consumer purchases, Diwali is considered the Indian equivalent of Christmas. Rajesh Exports Ltd. (RJEX), a jewelry retailer and exporter, said retail sales of gold jewelry such as rings, pendants, necklaces, etc. may rise 30-40% during Dhanteras. Bachhraj Bamalwa, a director at the All India Gems & Jewellery Trade Federation, expects domestic demand to rise 15-20% through December. India is the second largest gold buyer in the world next to China. Gold is so highly desired and heavily regulated in India that illegal gold smuggling is a large problem. More than 800 million Hindus in India celebrate Diwali every year. Diwali accounts for about a fifth of annual purchases in India – more than any other time of year. About 20,000 metric tons of gold are held in homes and temples within India. Jewelers in India represented 25% of global bullion purchases last year. About 5 million Indian weddings occur every year and help fuel demand for gold, regardless of prices. Gold serves as part of the bridal trousseau and as gifts in the form of jewelry. On average, an estimated 200 grams of gold are purchased for such a wedding. Almost all of India’s gold is imported. India is also the second most populated country in the world, so increases in Indian gold demand tend to affect other large markets as well. The deeply embedded cultural importance of gold in India and other Asian countries helps ensure that underlying demand for gold is always present, supporting the gold price worldwide even when markets are in a downturn. In the West, in addition to its cultural and historical significance, gold has come to represent financial security and preservation of wealth – so much so that many investors add physical gold to their retirement portfolio through a Gold IRA. Your existing IRA or former 401(k) can be rolled over to a self-directed Gold IRA holding physical precious metal coins or bars, often free of taxes or penalties. Call American Bullion at 1-800-326-9598 to speak with a specialist and get started today.